In the last few months, I have been reading and attempting to follow Julia Cameron’s, The Artist’s Way. I started it in January. I had an agreement with a friend that we’d message each other about the progress we were making on it. I sincerely began my Morning Pages. And then it stopped suddenly. It wasn’t because of my usual inability to stick to a task. No, it was something else that made me stop. The simple exercise of putting pen to paper every morning and writing without a purpose – brought to the surface a lot of unresolved issues for me. As a result I dropped the morning pages like one would a hot iron! I have since taken them up again – but that’s an entirely different story …err.. post. The whole experience reinforced for me the power of writing – as a tool for self-expression, for healing, for challenging, for bringing change. That is precisely why I write – to express myself, to heal myself, to challenge myself and to change myself. If in the process of reading my writing, someone else is healed, challenged or motivated to change, that is a bonus. Writing for me is releasing my thoughts and stringing them into words. I write to know myself and also preserve my thoughts chronologically. Is there any other way to do it? No. I also agree with your purpose for writing and sharing. “The whole experience reinforced for me the power of writing – as a tool for self-expression, for healing, for challenging, for bringing change.” Wow you put that across so succinctly, Corinne! Writing is different & good experience for some people & some hate Writing ! I’m not a professional writer but even I like writing ! I like write on free time on unique & latest news. Well Corinne your this article is really inspirational post on writing. Reading and Writing both help me relax. Loved this post. Thanks Corinne for writing and continuing to do so. I think you’re able to write in a way that resonates with many people and that’s why we feel healed, inspired or motivated reading your words. It is therapeutic no doubt unless people start judging you from what you write too. Yes, I too believe that word have the power to heal and motivate others. Sometimes when we write, our own word heal us and act as a catharsis that we yearn for. Wonderful thought Corinne. Writing certainly heals and challenges and in the process sometimes alleviates pain too. You are right, Corinne. 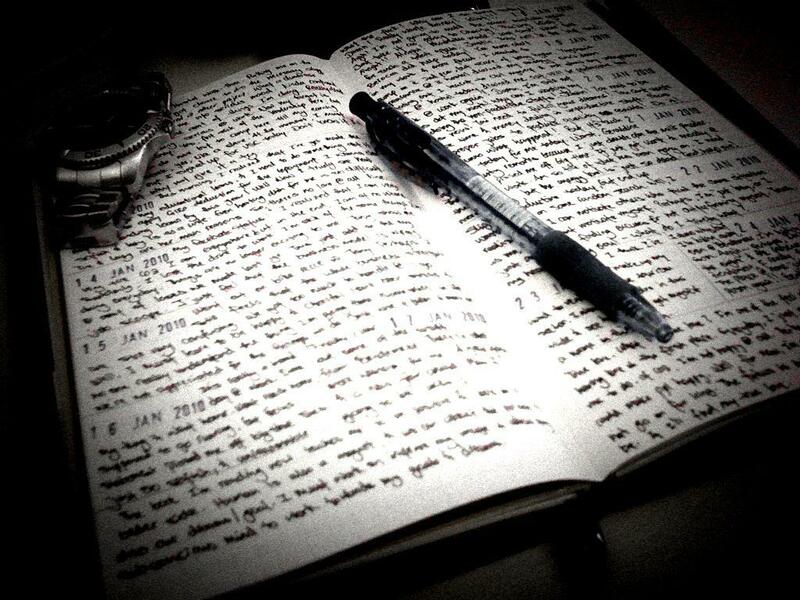 Writing heals..it has helped me heal my pain..it does a different thing to different people, isn’t it? I would also add: I write to breathe. Why do I write? I simply do not feel fulfilled unless I do. I guess one could say it’s a creative calling, one I can’t ignore. The process does help me grow in many ways that I otherwise would not. It’s not always easy, but it is what I do and love doing. You’ve got some very good reasons but I like the idea of writing to challenge oneself the best of all. I still do the morning pages – although not at all like Ms. Cameron says to.. I used a computer. You might like ‘The Right to Write. It’s one of my go-to books, like asking a good friend for a hug. I write to connect and to express myself. So glad for this medium. you said it well Corinne. We write to express ourselves. Like how everyone else has mentioned – I love your writing and your creativity. You have been an inspiration to me these past few month and I’m glad you write because I get to read you. Corinne, you and I are so much alike. I write for the same reason, although lately I’ve been avoiding the pen. I got totally sick of hearing myself think/talk. It’s gotten better. I’ve begun to write more often and I even started playing with acrylic paints and photography. Life is so much more pleasant when we create. and that’s why you are an inspiration to me. From the bottom of my heart i can say this that i am glad to know you and learn from you and that I love you Corinne. Such a simple question with a seemingly simple answer ! The more I thought about it, it took me back to the time when I began writing in the first place. Nice prompt Corinne . You always seem to have the magical ability to inspire and motivate me and I thank you kindly for that!! It’s true that writing can bring in a lot of change. It’s more fulfilling when it makes a difference to the lives of others. You have touched and transformed many hearts with your writing. Dear Corinne, You know in your heart, all those whose hearts you and your writings have touched. I have a special place for you in my heart, as you are one of those first bloggers who turned good friend and confidante in my life. When I think of you, I think of “Thankful Tuesdays” – you taught me how to be grateful. When I think of you, your smile brings radiance in my mind’s eye. When I think of you, it’s your gyan and your blog that’s become synonymous with your smiling image, that comes to the fore. You have left indelible footprints in our lives, with your words, your writings and your being. I don’t know why you write, but I do know, that I have come back, because of the very subtle push you gave me… because I felt, there is someone who misses me. That there is someone who remembers what I wrote.. and who remembers and appreciates what I am. writing is a very very powerful tool ! I believe it helps you find yourself ! You have definitely changed and healed me Corinne. Your this initiative has brought back the writer in me. I shall forever be grateful to you for it. Thank you. Indeed, writing is therapeutic for me too. And if others benefit from my writing, that’s great of course. But it is primarily a tool for self-expression. Well said, Corinne. I am in synch with what you Ritu and Rachna say here. I write because I love to share my moods, opinions, joys and sorrows. It is enriching. Even on the worst of days, I like to write even if it is a letter to myself. The only problem for me is a set format. I cannot write in a set way or do it everyday like you mentioned. I need something to excite me, sadden me or challenge me to pen something. And because of the other professional writing that I do, there is not a day that passes by when I have not written. Yes, writing is a passion and a great way to connect with people too! Lovely reasons to write, Rachna – all of them! Thanks for sharing. To me writing is many things, it brings me joy and that is the most important thing. As usual you’ve pointed out something very valuable to me … it can bring a change to a reader’s life. Of course it can, so many things I have read have shaped my thoughts. Oh wow! Joy is an important ingredient for anything we pursue, Ritu and we’d be crazy not to look for it in what we do! But you’re not crazy and I know your writing is powerful enough to bring change! You’re so right, much of what I am today is influenced by what I’ve read. I know my life has been changed by reading, Richa!